Leon Haslam leading, with Gregorio Lavilla and Shane 'Shakey' Byrne chasing. 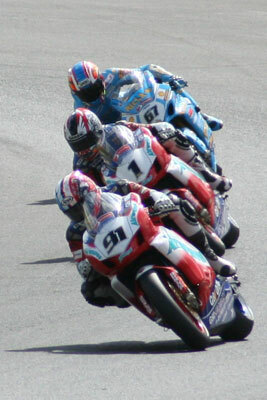 Gregorio Lavilla went on to win with Leon Haslam in Second place. Oulton Park, British Superbikes.